Cutting Fall Firewood - Is It Too Late? As the nights turn colder and the leaves begin to change many people begin to think about heating with wood. However, can you cut fall firewood and burn it in a few months or is it too late? Using firewood to heat your home is a great way to help reduce energy costs and save money. With a little bit of hard work you can essentially heat your home for a fraction of the price of propane, fuel oil and even natural gas. If you're planning on heating with wood this year it's important to plan ahead. Since firewood needs to be dry or "seasoned" you can't just cut down a live tree and expect it to burn. 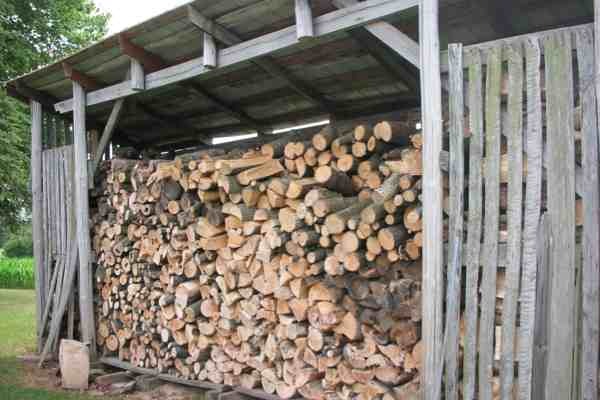 In fact, firewood should have a moisture content of around 20 percent to burn clean and efficient. What happens if you burn wet firewood? It has the potential to create creosote which can adhere to your chimney walls and create a chimney fire. Also, wet firewood does not create as much heat or BTU's as dry, seasoned firewood. 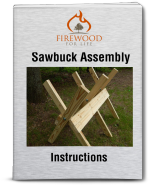 To get the most energy out of your firewood you must plan ahead. On average, firewood takes about 6-12 months to season depending on the tree species. 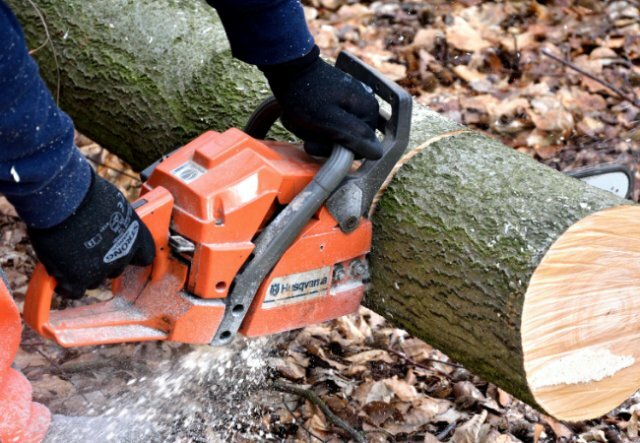 Since firewood needs approximately 6-12 months to season, cutting down a live tree in the fall and burning it in the winter is not recommended. There just isn't enough time for the wood to dry out. This wet firewood will sizzle and smolder, producing a reduced amount of heat and a frustrating fire that just won't burn. If you want to cut your own firewood for the upcoming winter, process the wood during the spring or early summer when you can use the sun to help dry out the wood. Since fall temperatures are usually mild, you lose a key factor in seasoning firewood……..heat from the sun! It's amazing how much faster a piece of firewood will dry out if it's exposed to the sun and wind. If you want to cut firewood this fall you basically have two options. You can cut the wood, stack it and save it for next year or you can cut dead standing or dead blown down trees. Since dead trees have a low moisture content already, you can burn them almost immediately (depending on how long they have been dead). I prefer dead standing over dead blown down trees because the wood that rests on the ground can actually soak up ground moisture causing the wood to be wet. Another option for cutting fall firewood is to cut ash. Since ash trees have a low moisture content to begin with, they only need a few months to season. Some people report good results with burning green ash. I've found ash firewood burns the best if you let it season for at least a month or two providing it's not already dead from the emerald ash borer. If you don't have time to cut your firewood this year you can always choose to buy enough to get you though the winter. Fall is probably the most popular time to buy firewood. A quick search online or in your local newspaper will usually give you several locations to purchase it. However, since the wood is in so much demand the price is usually higher and it may take longer for the firewood to be delivered……supply vs demand. To get the best price and the best service from local suppliers, it's best to purchase your firewood early, before everyone else has the same idea. Although the temperatures are great for cutting firewood in the fall, you lose one important element required for seasoned firewood………time! Consider cutting dead standing trees if you're looking for firewood that can be burned immediately or look for a firewood supplier that has dry, seasoned firewood for sale. Dry wood will be safer, burn hotter and save you a lot of problems and frustration.